For the organization of this beautiful wedding, Kaleydo collaborated with wedding planner Patrizia Alpini, the owner of In Tuscany Wedding. 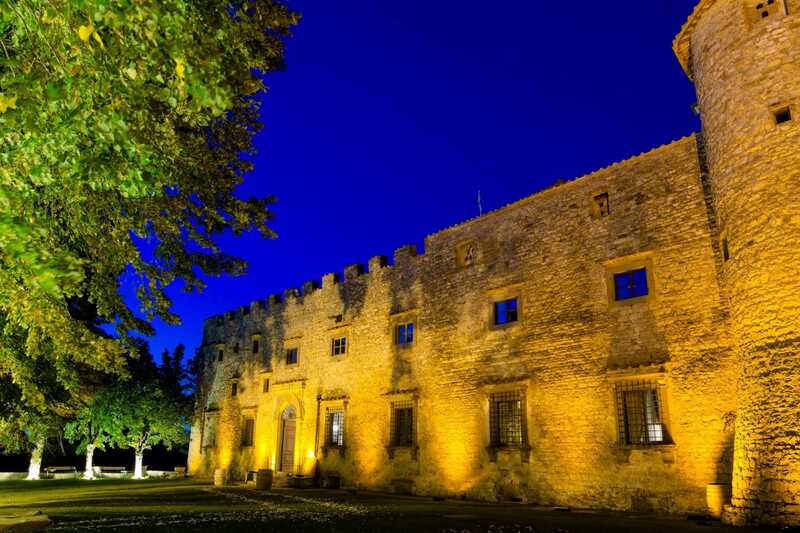 An event organized at a regal and majestic location such as the Castello di Meleto, surrounded by the Chianti hills. 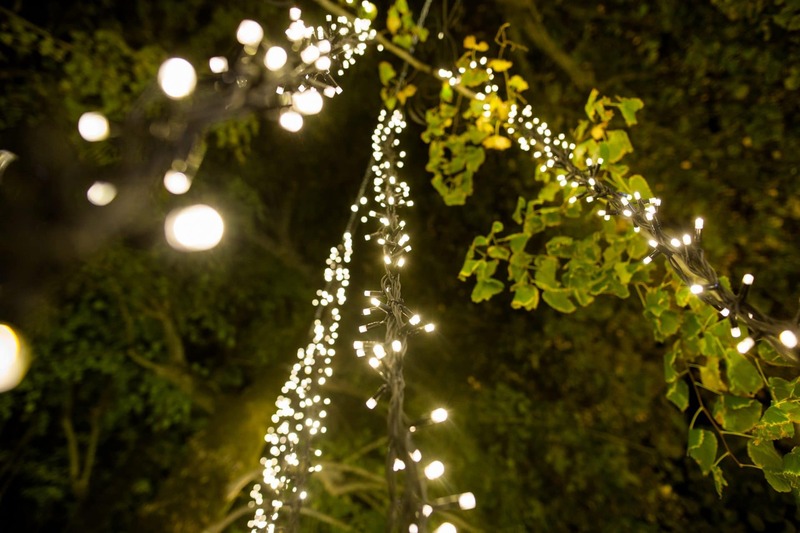 Setup started at the break of dawn, with our team working on building a stage, installing audio systems and numerous lighting effects, including bulbs and cascading fairy lights, all intended at enhancing the venue’s spaces. The ceremony, carried out in the stunning gardens, was characterized by speeches, readings and poems, with music played between breaks by our classical harp and violin duet, and with magnificent backdrops on the Tuscan countryside. During cocktail hour, the smooth sound of our jazz band accompanied guests until dinner, while, in the background, the sun set behind the rolling hills, creating an enchanting atmosphere. The cutting of the cake was the highlight of the night: a cascade of fairy lights draped the newlyweds, making this magical and emotional moment even more scenographic. And then, off to the dance floor, where the sound of one of our best DJs got everyone on their toes, with a playlist prepared according to specific requests made by our clients. Kaleydo is installations, organization and planning of both private and corporate events. Contact us to discover our services and receive a consultation by our team.